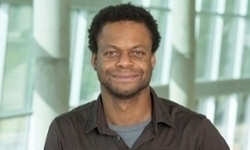 UNMC › Pathology and Microbiology › Faculty › Bios › St Patrick Reid, Ph.D.
Molecular Virology of novel functions of proteins encoded by highly pathogenic viruses. Elucidating host-pathogen interactions of emerging highly pathogenic viruses including Ebola, Chikungunya, and Zika. Dr. Reid's laboratory for more details of his research. Qiaonan Duan, St Patrick Reid, Neil R Clark, Zichen Wang, Nicolas F Fernandez, Andrew D Rouillard, Ben Readhead, Sarah R Tritsch, Rachel Hodos, Marc Hafner, Mario Niepel, Peter K Sorger, Joel T Dudley, Sina Bavari, Rekha G Panchal and Avi Ma’ayan. L1000CDS2: LINCS L1000 characteristic direction signatures search engine. Nat. Sys. Biol & Appl. (2016) 2, 16015; doi:10.1038/npjsba.2016.15; published online 4 August 2016. Booth L, Roberts JL, Ecroyd H, Tritsch SR, Bavari S, Reid SP, Proniuk S, Zukiwski A, Jacob A, Sepúlveda CS, Giovannoni F, García CC, Damonte E, González-Gallego J, Tuñón MJ, Dent P.AR-12 Inhibits Multiple Chaperones Concomitant With Stimulating Autophagosome Formation Collectively Preventing Virus Replication. J Cell Physiol. 2016 Oct;231(10):2286-302. doi: 10.1002/jcp.25431. Epub Jun 6 2016. Reid SP, Tritsch SR, Kota KP, Chiang CY, Dong L, Kenny T, Brueggemann EE, Ward MD, Cazares LH, Sphingosine kinase 2 is an Essential Host Factor for Chikungunya Virus Infection Recruited to the Viral Replication Complex. Emerg. Microbes Infect. 4, e61, 2015. Travis K. Warren, Chris A. Whitehouse, Jay Wells, Lisa Welch, Alison E. Heald, Jay S. Charleston, Pete Sazani, Reid SP, Patrick L. Iversen and Sina Bavari. A Single Phosphorodiamidate Morpholino Oligomer Targeting VP24 Protects Rhesus Monkeys against Lethal Ebola Virus Infection. mBio. 6(1) 02344-14, 2015. Reid SP, Shurtleff AC, Costantino JA, Tritsch SR, Retterer C, Spurgers KB, Bavari S. HSPA5 is an essential host factor for Ebola virus infection. Antiviral Res. Sep;109:171-4, 2014. Page A, Volchkova VA, Reid SP, Mateo M, Bagnaud-Baule A, Nemirov K, Shurtleff AC, Lawrence P, Reynard O, Ottmann M, Lotteau V, Biswal SS, Thimmulappa RK, Bavari S, Volchkov VE. Marburg virus hijacks nrf2-dependent pathway by targeting nrf2-negative regulator keap1. Cell Rep. Mar 27;6(6):1026-36, 2014. Reid SP, Shurtleff AC, Bavari S. Emerging therapeutic options against filoviruses. Drugs Fut. 37(5): 343, 2012. Panchal RG, Reid SP, Tran JP, Bergeron AA, Wells J, Kota KP, Aman J, Bavari S. Identification of an antioxidant small-molecule with broad-spectrum antiviral activity. Antiviral Res. Jan;93(1):23-9, 2012. Reynard O, Reid SP, Page A, Mateo M, Alazard-Dany N, Raoul H, Basler CF, Volchkov VE. Unconventional secretion of Ebola virus matrix protein VP40. J. Infect Dis. Nov;204 Suppl 3: S833-9. doi: 10.1093/infdis/jir305, 2011. Prins KC, Delpeut S, Leung DW, Reynard O, Volchkova VA, Reid SP, Ramanan P, Cárdenas WB, Amarasinghe GK, Volchkov VE, Basler CF. Mutations abrogating VP35 interaction with double-stranded RNA render Ebola virus avirulent in guinea pigs. J. Virol. Mar;84(6):3004-15, 2010.